In a healthy dog with a normal heart, the tricuspid valve provides a means of opening and closing the path between two chambers of the heart, the right atrium and the right ventricle. When the valve is open, blood flows freely through the opening from the right atrium into the right ventricle. 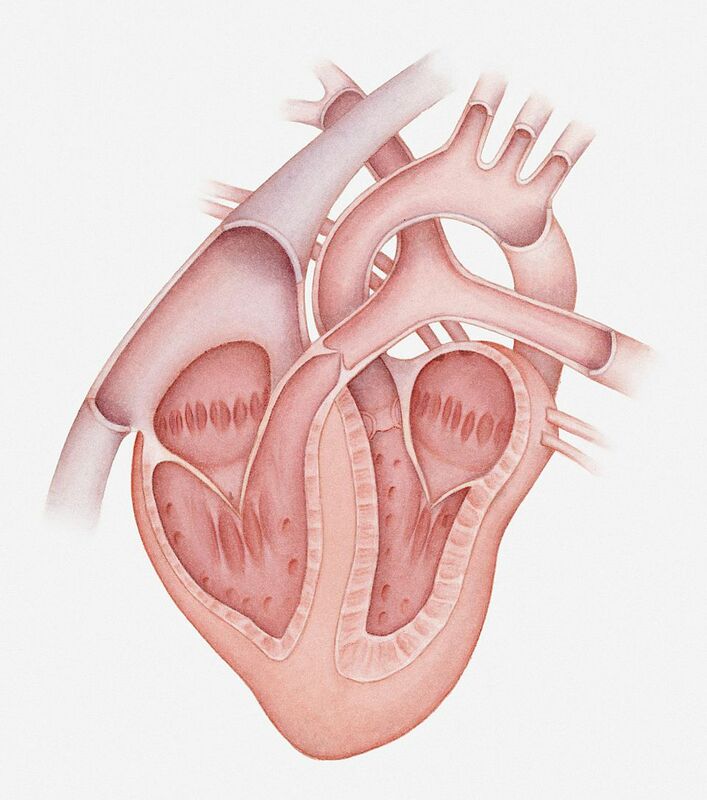 When closed, it prevents blood from flowing through the opening in either direction, either from the atrium to the ventricle or backwards from the ventricle back into the atrium. In some dogs, the tricuspid valve becomes deformed. This is often termed a degenerative change because it is often associated with age. The valve is normally shaped like a leaf but when it degenerates, it becomes thickened and begins to take on a more nodular appearance. Eventually, the tricuspid valve may become misshapen enough that it no longer completely closes the opening between the atrium and the ventricle at the proper time during the contraction cycle of the heart. When this happens, blood can flow backwards from the ventricle into the atrium when the heart contracts, a phenomenon known as regurgitation. This is why degenerative valve disease is sometimes also known as valvular regurgitation. The types of signs seen in dogs with tricuspid valve disease will depend on how severely diseased the valve is and on how much regurgitation is taking place in the right side of the heart. In many dogs, the only sign seen may be a heart murmur. In many cases, the heart murmur is picked up by your veterinarian when your dog receives a routine physical examination. A stethoscope is necessary in most cases to hear the murmur. Many dogs remain free of signs of heart disease or develop only a mild cough. For these dogs, the heart disease generally does not affect their quality of life and may not need treatment. However, heart disease caused by an abnormal tricuspid valve can be progressive and can eventually lead to heart failure for some dogs. As blood continues to be regurgitated and flow back into the atrium, the blood volume in both the atrium will increase, causing both the atrium and the ventricle to become enlarged. As the chambers reach their capacity for enlargement, the pressure inside both chambers will begin to increase, leading to right-sided heart failure. This type of heart disease and heart failure can become serious enough to threaten your dog's life, particularly if left untreated.